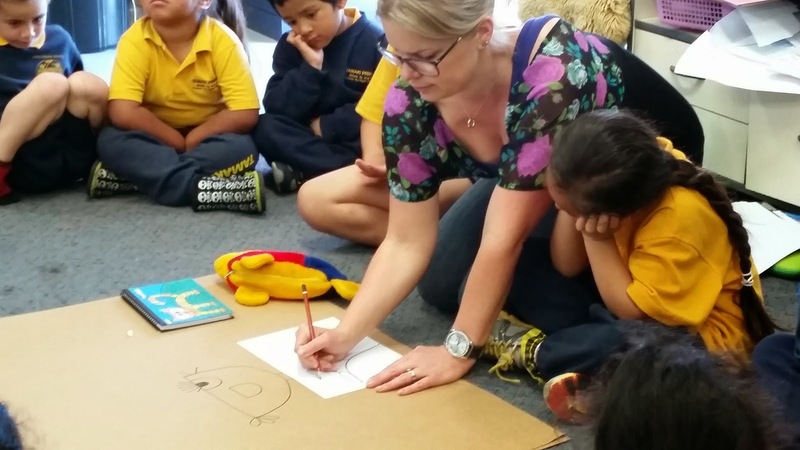 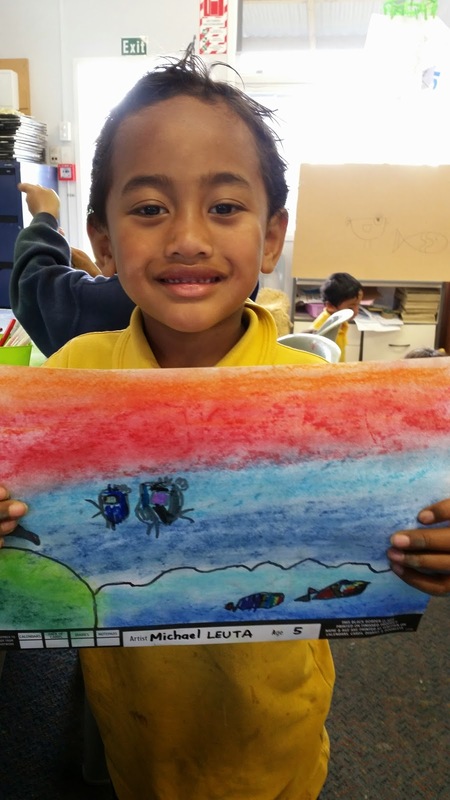 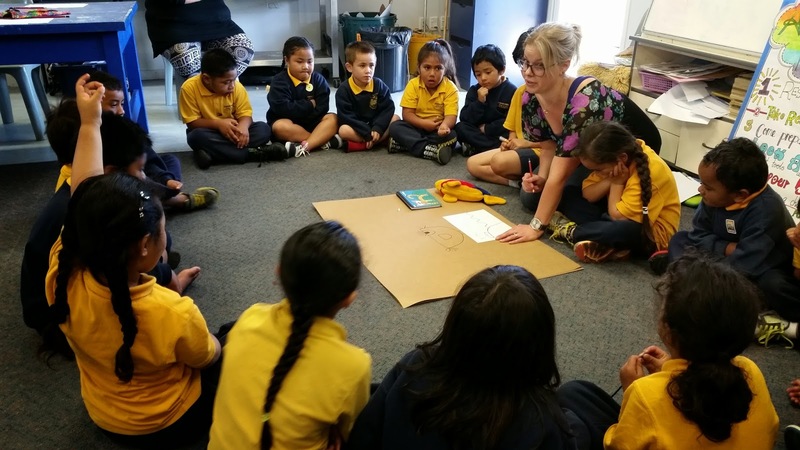 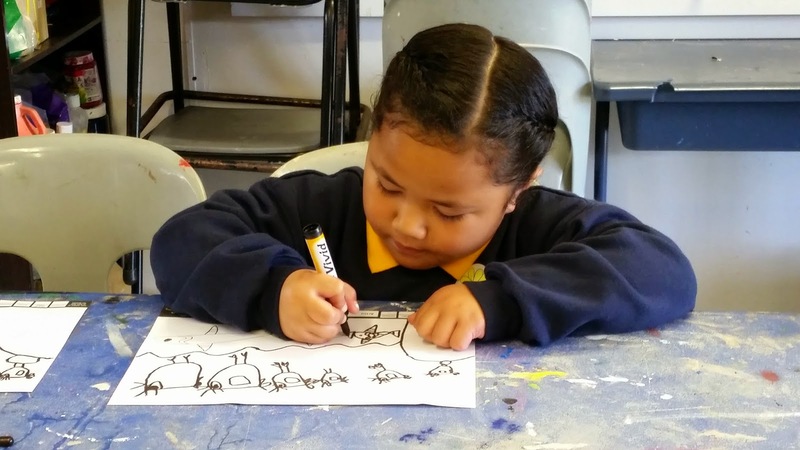 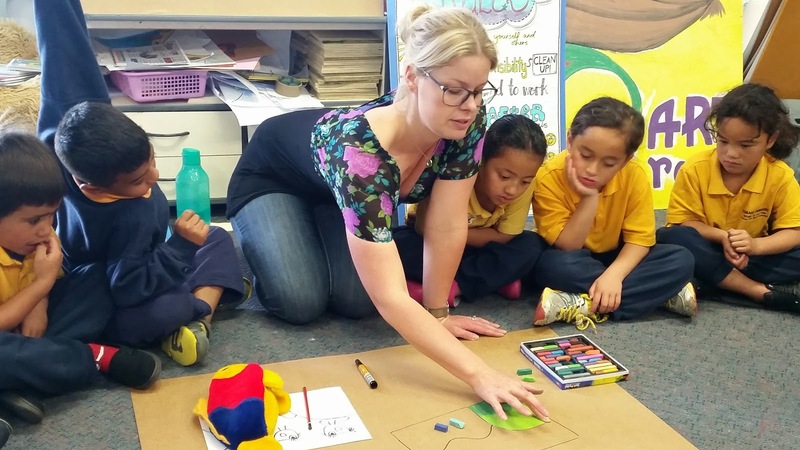 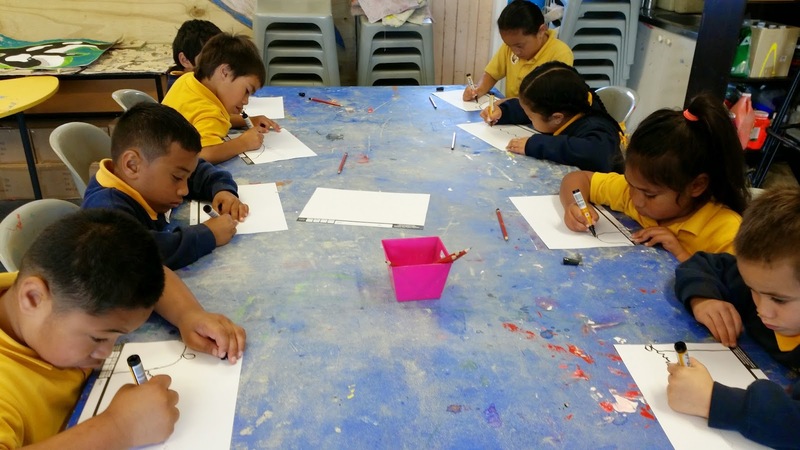 Today, Room 1 came to the Art Room to complete their art for the Tamaki Primary calendar fundraiser this term. 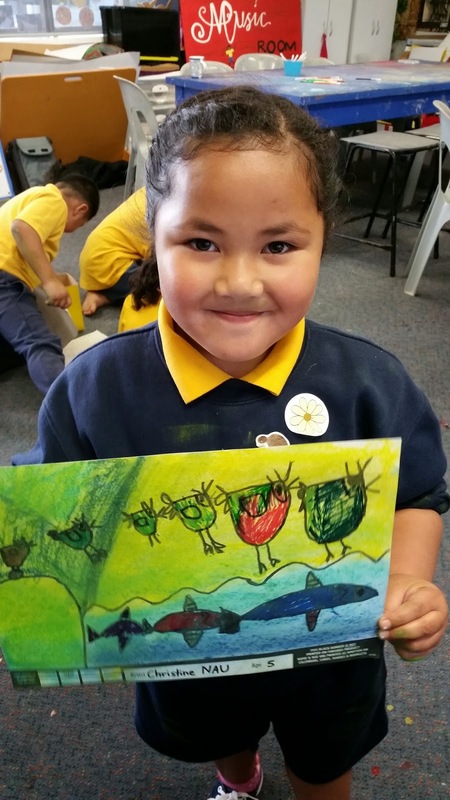 We loved learning how to draw cartoon birds and put patterns onto fish outlines. 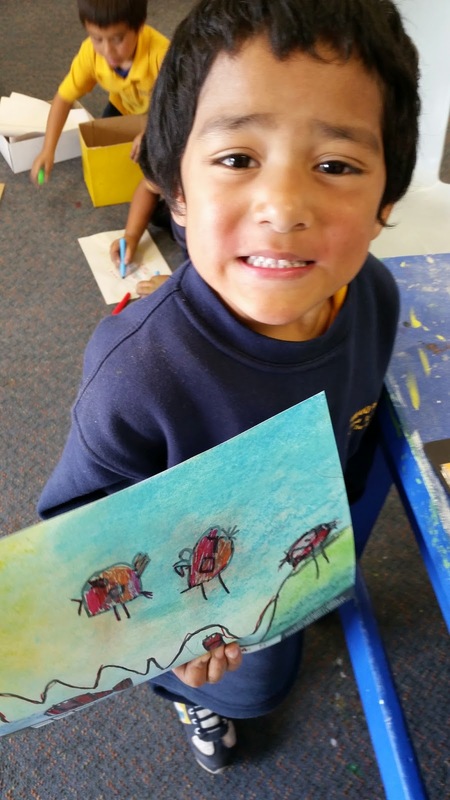 Our main focus was learning to use different art media and thinking carefully about the layout of our artwork. 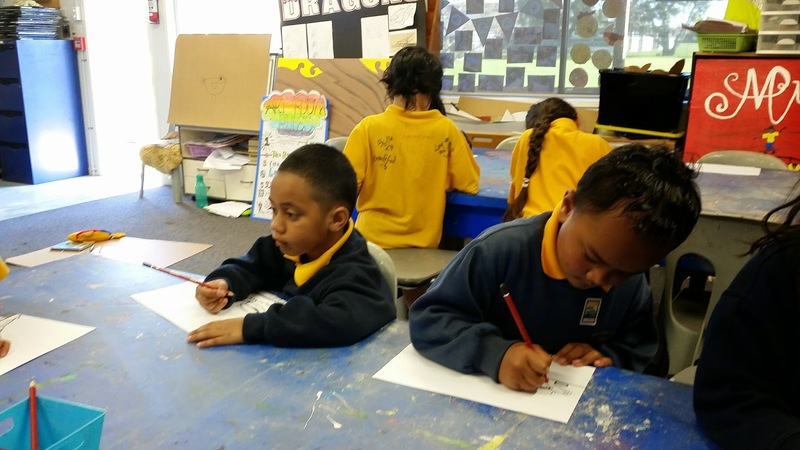 Our art media today was using sketch pencils, vivids for outlining, chalk pastels for our backgrounds and felt tips for our details. 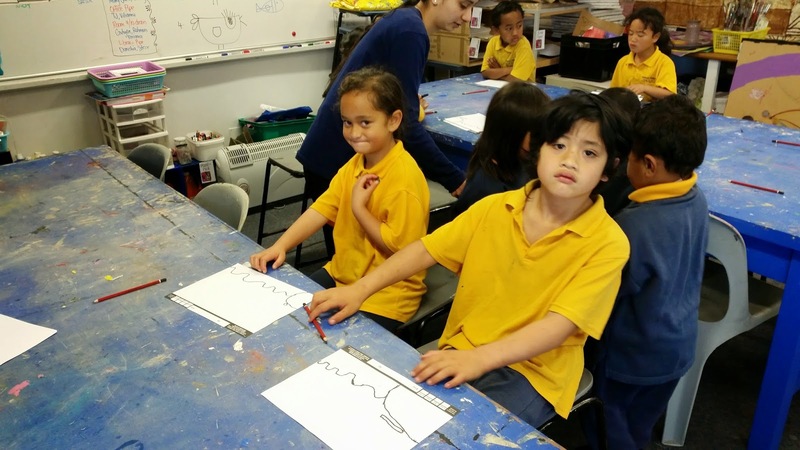 It was really fun choosing our chalk pastel colours! 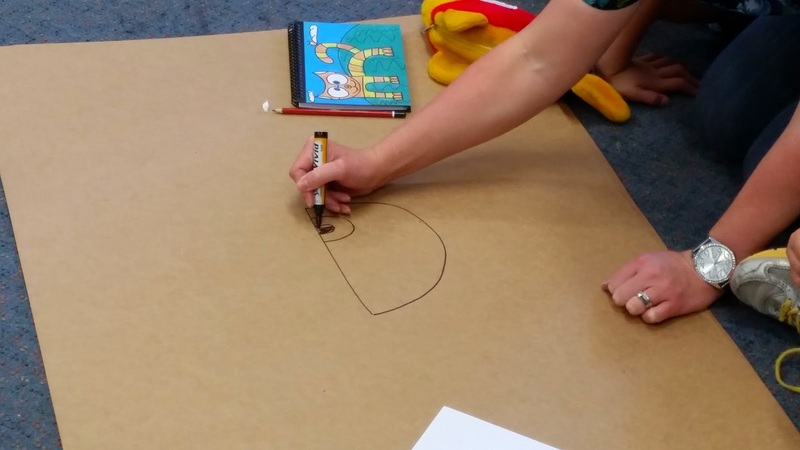 We got chalk pastel ALL OVER our hands and the tables - but it was really fun covering our paper with colours.